Connecting Point held their inaugural luncheon this Saturday at the Belo Mansion. The event was a huge success thanks in part to Clayton and Ellen Kershaw. A fun, light-hearted and casual lunch included hot dogs, macaroni and cheese and cracker jacks, all reminiscent of “America’s favorite passtime”, while attendees got to listen in on a very down-to-earth interview between Scott Murray and the Kershaws. The Texas Rangers have remained on the periphery in the pursuit of Japanese right-hander Masahiro Tanaka. It might be because of the payroll budget, as general manager Jon Daniels has said. 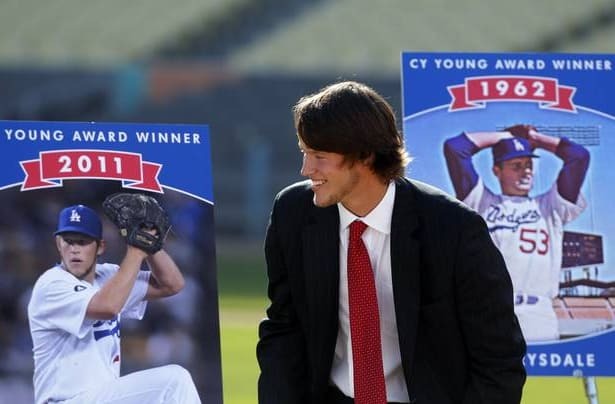 It might be because Clayton Kershaw, the ace left-hander from Highland Park, could be a free agent after this season. As good as Tanaka may be, Kershaw is special. That goes much deeper than his performance for the Los Angeles Dodgers: two Cy Young awards and three ERA titles in the last three seasons. To get at the essence of Kershaw, consider how he spent his Saturday. Connecting Point of Park Cities is devoted to creating an “all-inclusive safe, nurturing and stimulating day program” for disabled adults. That group includes Ryan Albers, who is 100 percent disabled after incurring a traumatic brain injury in a ski accident seven years ago. It takes money to provide these needed services. To meet its goals, CPPC planned a fund-raising luncheon. The group needed an attraction, as these functions do. Kershaw’s wife, Ellen, mentioned the organization, its goals and its needs. Both knew Albers as a friendly football player and whiz-kid math student at Highland Park High School.